Further to the issuance of the FAA Special Airworthiness Information Bulletin (SAIB): CE-10-08, Zenith Aircraft Company advises all owners of Zodiac CH 601 XL and CH 650 aircraft to follow the recommendations contained in the SAIB. EAA reports that "the FAA's investigation, done in cooperation with the aircraft manufacturer, uncovered areas of concern... As a result, the FAA is strongly recommending that owners and operators of Zodiac CH601XL and CH650 aircraft comply with actions outlined in a forthcoming safety directive/alert to address those concerns. The FAA is urging that the aircraft not be flown until the maintenance is completed." February 22, 2010: FAA releases the Zodiac CH 601 XL Airplane Special Review Team Report (dated January 2010) concluding that the "review of the related accidents did not indicate a single root cause, but instead implicated the potential combination of several design and operational aspects." Check out the Zenair Q&A discussion forum for our answers to questions you may have about this latest report. AMD, manufacturer of the Zodiac CH 601 XL S-LSA (factory-built aircraft), issued a Safety Alert / Safety Directive (November 7, 2009) which outlines procedures required to resume normal operations (prior to the July 7, 2009 Letter from Chris Heintz limitations), including upgrades detailed on Drawings 6-ZU-1, 6-ZU-2, 6-ZU-3 and 6-ZU-4, and LAA Aileron Balance (these latest revised drawings are dated January 25, 2010). The FAA SAIB document recommends that all owners comply to the AMD Safety Alert / Safety Directive before further flight. We have drafted the following Questions and Answers with Chris Heintz document to help builders and owners understand these upgrades, which were recently structurally tested and independently verified (Document396). 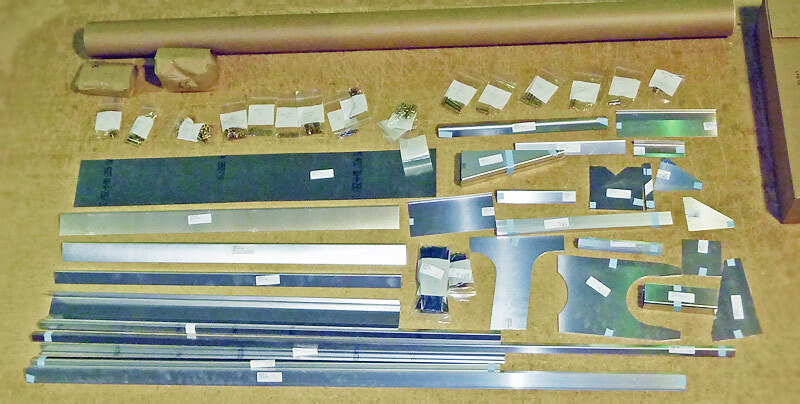 An Upgrade Package is available to all builders and owners of kit versions of the aircraft, and includes detailed drawings and step-by-step installation instructions. Builders and owners: Click here to order your Upgrade Package kit. Now that we have finalized and verified the Drawings, the Upgrade Package kit is in production and shipping. We have also prepared Photo Assembly Guides to supplement the drawings and to help kit builders install these upgrades to their existing kit. Click here to view a video clip of the Upgrade Package kit. Zenith Aircraft Company has completed the installation of the Upgrade Package in the factory demonstrator Zodiac CH 601 XL. Click here to follow the progression, including the latest flying videos. We have verified the drawings and have documented the process for the manuals as we have been installing the Upgrade Package. 1/20/11: The FAA Kansas City Manufacturing Inspection Office has evaluated the Zenith Aircraft Company Zodiac CH601 XL aircraft kit changes, specifically the 6-ZU Upgrade Package. The MIO has notified AIR-200 that they have found no significant change compared to the original Amateur Built Fabrication and Assembly Checklist, and meets major portion requirements. A memo has been prepared to all FAA Manufacturing Inspection Offices and Flight Standards Offices indicating AIR-200 concurrence. and the upgrade package will be added to the Amateur-built Kit List on the FAA website. Aero-TV Video Clip: Zenair's Mathieu Heintz discusses the Zodiac CH601XL upgrade package... (from the Sebring LSA show in 1/2010). Follow along as Zenith Aircraft Company installed and completed the Upgrade Package kit installation to the factory demonstrator Zodiac CH 601 XL. New flying video. December 17, 2009: Builder Photo Assembly Guides to supplement the drawings. Applicability: The AMD Safety Alert is to be used for all CH 601 XL / CH 650 aircraft with a gross weight of more than 475 kg. (1,050 lbs), including Canadian Advanced Ultralights (AULA) aircraft. European builders and owners: See http://www.zenairulm.com for continued airworthiness updates. Updated Zodiac series Checklist: a 55-page checklist to help you thoroughly preflight your aircraft (February 2010 Rev 2). Check out the first and second Zenair Q&A discussion boards for answers to many of your questions. We are committed to working with all builders and owners so that they may resume building and operating their aircraft by incorporating the updates at minimal cost and inconvenience. We ask for the full cooperation of all builders, owners and pilots with this important information, and we thank them for their continued support through this difficult time. Zenair met with FAA officials on April 22, 2009. The meeting was productive, with FAA officials confirming that they have no plans to ground the fleet of Zodiac CH-601XL aircraft. In response to the NTSB Safety Recommendation letter (dated April 14, 2009), the FAA officials stated that they will commence their own thorough review of the Zodiac design, and has given this review high priority. Zenair will cooperate fully in assisting the FAA. Zenair also continues with the ongoing design analysis of the Zodiac CH-601XL, including wing flutter analysis. The independent consulting team from Germany has released preliminary findings. These preliminary findings confirm that the aircraft, with properly tensioned control cables, is not prone to flutter. The team is continuing its analysis, including the recommendations set forth in the NTSB's letter, such as mass balanced ailerons. Zenair wants to remind builders, owners and pilots to verify that all control surfaces are properly fastened and secured, and free of play, and that control stops are present and properly installed, and that the control systems are not loose. Pilots are reminded to operate the aircraft within its design limitations. Since the NTSB Safety Recommendation to the FAA on April 14, we have been receiving many calls and messages from concerned Zodiac builders, owners, and pilots, inquiring about the Zenair response to the NTSB's Safety Recommendation. Zenair has made this a top priority and is spending significant resources on this matter. Zenair has retained independent consultants to analyze the design of the Zodiac 601XL and 650.